Santa Fe’s diverse economy, moderate climate, and great quality of life make it an ideal place to do business, raise a family, or enjoy your empty-nest/retirement years in a stimulating cultural environment. 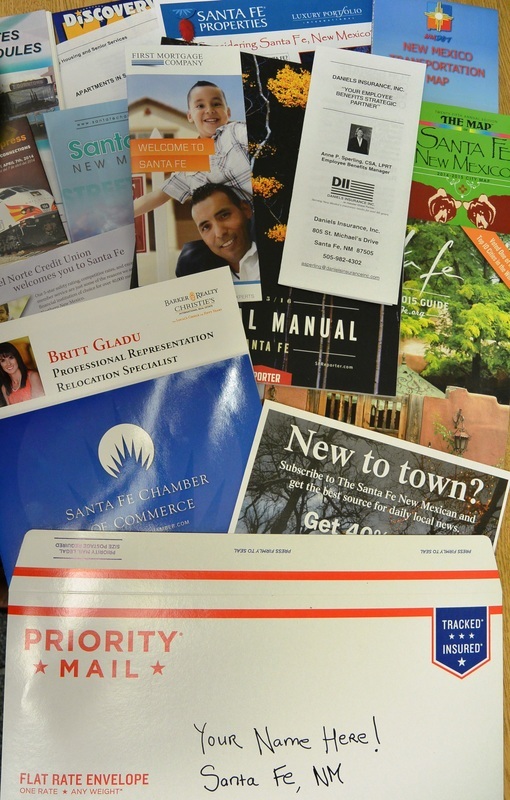 For those serious about moving to Santa Fe, the Chamber's Resource Center offers a relocation package for that gives newcomers a comprehensive overview of living and working in the Santa Fe area. If you are visiting our city and thinking about moving to Santa Fe, stop by our office and we’ll provide you with information on local Chamber businesses and services to meet your specific needs. Qualified real estate agents, employment/personnel agencies, retirement communities, moving and storage, banking and finance, public utilities and environment, education, healthcare, home improvement and maintenance, golf and recreation, pets and veterinary, and personal services. Where to Retire magazine selected Santa Fe as a top retirement destination. AARP Magazine named Santa Fe one of the 10 best sunny places to retire. Livability.com - a national website that ranks quality of life and travel amenities of America’s small and mid-sized cities - named Santa Fe one of the top 10 Foodie Cities because of its invigorating restaurant scene, a wealth of chefs adapting traditional dishes into edible art, and a restaurant community that supports local farmers and food producers. Order your Relocation Packet today!